Paul Offit can reel off in a quick paragraph just what it took for him and his colleagues at Children’s Hospital of Philadelphia and the Wistar Institute to invent a vaccine for rotavirus, a disease that causes severe, and often deadly, diarrhea in infants and small children. Offit’s experience in the high stakes and painstaking work of vaccine development informs many of his books, which bear titles like False Prophets: Bad Science, Risky Medicine, and the Search for a Cure and Do You Believe in Magic? : The Sense and Nonsense of Alternative Medicine. 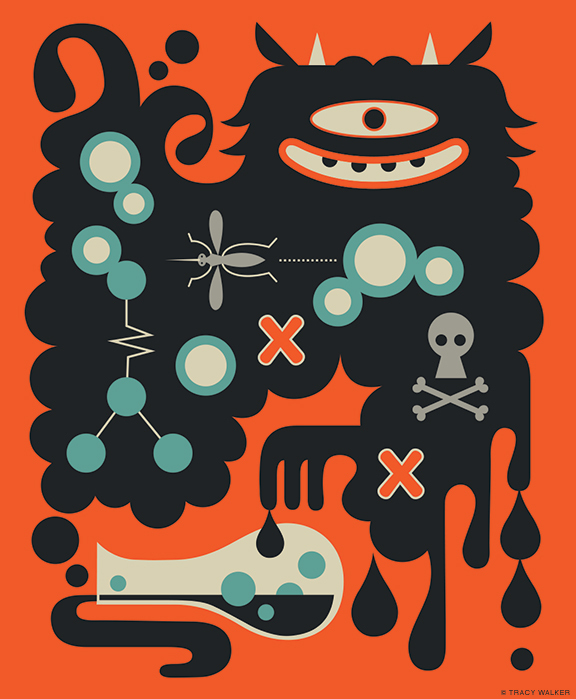 Along related lines, his newest, Pandora’s Lab: Seven Stories of Science Gone Wrong, explores (mostly) well-meaning inventions, notions, and crusades that relied on poor science and wound up having unintended and often disastrous consequences. Always, the goal is to help people better appreciate the field—and the limitations of its practitioners. Offit calls this “Nobel Disease,” and as Pandora’s Lab details in entertaining and often jaw-dropping fashion, things go seriously wrong when a scientist gets (his own) religion. Consider Linus Pauling, two-time Nobel laureate and enough of a genius that Albert Einstein declared his description of chemical bonding as “too complicated for me.” After becoming convinced of the life-enhancing merits of megadoses of vitamin C, Pauling moved away from traditional science. His first book, 1970’s Vitamin C and the Common Cold, convinced 50 million Americans to follow his regimen; emboldened, he went on to claim that vitamin C also prevented cancer. Eventually—and disturbingly—study after study revealed that overconsumption of many vitamins actually led to increased incidences of a variety of cancers. The same lesson applies to the most surprising inclusion in Offit’s rogues gallery: Rachel Carson, author of the best-selling 1962 book Silent Spring, widely credited with jump-starting the environmental movement. Another narrative centers on the saga of the German Nobel Prize-winning chemist Fritz Haber (1868–1934), who invented a process to synthesize ammonia from hydrogen and nitrogen. This enabled the production of synthetic fertilizer that helped produce more crops to feed a rapidly growing population. Today, though, ammonia fertilizer runoff washes into our waterways, causing algal blooms that kill marine life. In an unsettling coda, we also learn that this man, operating in the service of the fatherland, went on to develop chemical weapons like chlorine and mustard gases, and that his work led to the development of Zyklon B, a variation on a pesticide that was used by the Nazis to kill about one million Jews out of the six million murdered in the Holocaust. Perhaps the most horrific of stories, though, comes courtesy of Walter Freeman M’20 (1895–1972), who improved on the already brutal and destructive lobotomy by inventing an “ice pick” method, which purported to cure mental disorders by hammering an ordinary kitchen implement into the corners of the eyes, turning the severance of the brain’s frontal lobes into a six-minute outpatient procedure. “Beware the quick fix,” cautions Offit, drawing a parallel to today’s rash of quack theories (including avoiding vaccines) presented as “cures” for the mysteries of autism. Offit points out that in all of these cases, doubters have raised red flags. But often they aren’t heard—at least not at first. “We want to believe in magic,” he says. For today’s consumers, the lessons of skepticism apply: wait for all of the data to be released, don’t fall for quick fixes, and remember that the truth emerges over time. He’s clearly thinking about vaccine-skeptics. But the book’s larger message is that people would do well to remember that vitamins are not necessarily good and chemicals are not necessarily bad.